AthleteI'm John Urschel, MIT mathematics PhD student and retired NFL offensive lineman -- AMA! I'm John Urschel, MIT mathematics PhD student and retired NFL offensive lineman, here to answer your questions about math, football, chess, Fiona Apple, and whatever else you may be interested in! This AMA is in partnership with the Mathematical Sciences Research Institute in Berkeley, California, organizers of the National Math Festival. I'll start answering questions at 2pm, and end at 3. What was your favorite class at PSU? I took Theatre 100 (I think that was the number) and I loved it. Seeing actors perform in the class was very entertaining and quite different than anything I ever took. Context: I studied computer science and now at 32 started a company in machine learning after working for 3 years. Also I am going back to university to to study mathematics and I have to manage a full course load and my company. Okay, so going into my schedule is going to take a little bit too much time, but I gave up a lot of things, socially and romantically. Noooooo. Joe is awesome. Seriously. Plus once he bought me Hagoromo chalk for Xmas. If that isn't elite, I don't know what is. We might have an entire cabinet with a secret stash of Hagoromo chalk at MSRI - a mathematician's dream! What are some of the biggest flaws that you see in how math is currently taught in the US? That's a tough question, that a lot of people have thought about for a lot longer than I have. But I think one of the biggest flaws of math being taught in the school is too much of a focus on memorization, and not enough of a focus on original quantitative thinking. John what are your favorite white and black chess openings? Are you building a repertoire and/or how seriously will you pursue chess? Any more chess.com videos? You—more than any other player I can think off—embody Success with Honor. You do our great university proud, will always be my favorite cfb player, and frankly, I hope to run into you in Cambridge! Thanks a lot! I've found that heroes don't need to be people who you see in the media, but often are just people around you. After all, we're all people. My hero is my mother. She made so many sacrifices when I was young to make sure I had every opportunity to become whatever I wanted to be. John, it is nothing short of impressive to balance pursuing an advanced degree at one of the nation's top institutions as well as playing a popular sport at the highest level. My question would be, if you had to pick one, do you think you're better at football or at math? I'm so much better at math than football. I wouldn't consider myself extremely athletic or gifted. I spent so many hours working to improve as a football player. Even though I've had to work to improve as a mathematician, I started with a lot more natural ability. Hey, I more or less already talked about this in a USA today article and Freakonomics podcast this week. I think the podcast was pretty fun, and you should check it out. 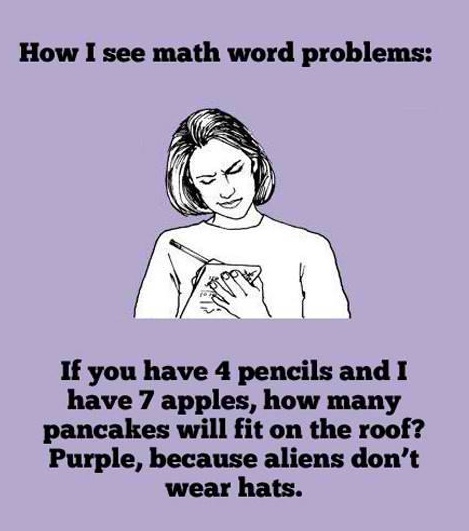 What would you say to a young person who feels discouraged by how long it takes them to work through a math problem? I would say that the more problems you solve, the better you get at it. And also that sometimes it takes me a really really long time to work through one. The best part is when you solve it though. Maybe focus on the joy of solving instead of the stress of the amount of time it took? Terrance Tao had a great blog post somewhere on his google+ about how one of the most important things to do as a mathematician is learn to value partial progress on a problem. Coming to the start of my 4th year of undergrad it's advice I try to keep close to the heart whenever I feel like I did a problem all day and made no progress because there is always progress made even if it's crossing off a potential path to solve the problem. Definitely one of the hardest bits of doing maths in general. What offensive thing did you say to become an offensive lineman? Fries actually do taste good with mayo. Hey John, Penn State alum here! I heard you speak when you were a senior, just two months away from being drafted into the NFL and talk about your past hardships. During your time at State, you went through a huge culture shock with the sudden departure of Paterno and the exit of many of your teammates to other schools. Are there any lessons from your five years playing PSU football that are relevant to your tenure with the Ravens or your docterate candidacy at MIT?? I think the biggest thing I learned was to keep things in perspective. Sure, my teammates and I faced hardships, but it paled in comparison to the hardships that the victims faced. What made you pursue pure mathematics over an applied field such as physics or engineering? So I actually think that the things I do have a happy medium between pure and applied. Everything I do I like doing from a theoretical perspective, but I do a lot of things that have many applications, like numerical analysis, machine learning, and combinatorial optimization. I think it's pretty cool to solve fun problems, even if there aren't any applications, but if there are, it's that much more satisfying! I coach youth football offensive line, what would you say is the biggest thing that I need to stress to them at a young age? At what age did you discover that you like mathematics? Did you participate in math competitions when you were young? What kind of dinosaur would you be? When I was young, I actually wanted to be a dinosaur when I grew up. I wanted to be a T-Rex. Hey John, huge Ravens fan here. I think I'll really miss the comradery. It's hard to find outside of football. I definitely won't miss the feeling when I wake up Monday morning. PSU alum and current doctoral student in econ. I actually met with you when you gave a talk at my university in July of 2016. Unfortunately I had to take off to unpack, so I didnt get to hear your talk (my bad). Mathematics is closely linked to economics and its not uncommon for many economists to be infatuated with math. Are there any other fields that you find yourself admiring or fascinated with? Thanks for being an all around down to earth guy and ambassador for math. I really love physics. I started out in mathematical physics, and almost ended up working in quantum mechanics research for a time. My first paper was on a three body problem. Hello John, I enjoyed meeting you at the Mathnasium convention a few year back. Will you ever return to the DMV area? My mother lives in the DMV. So if I didn't, I think I'd be in some real trouble! Whose the smarter ex-Raven: Matt Birk or yourself?